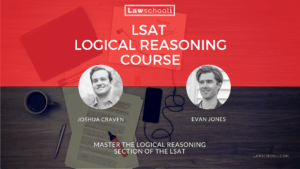 Okay, last time we discussed necessary assumption questions, so today we move on to their close cousin, LSAT logical reasoning justify questions, also known as sufficient assumption questions. These questions are good way to test where you are with understanding logical reasoning. If you have a good solid grasp on conditional reasoning, they should be fairly manageable. If you don’t, they are a real pain. The big key is that you understand what a sufficient assumption is and how it differs from necessary assumptions. This way, you can spot a sufficient assumption and mark down the correct answer quickly. In todays lesson, we are going to do something a little different than usual. We’ll discuss the techniques like we usually do, but after that we are going to look at some explanations. 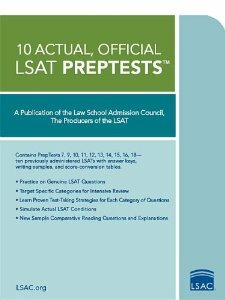 Because we want to keep the site free, we aren’t allowed to actually write down the LSAT questions (copyright issues), so you’ll have to use your own LSAT book to follow along. If you feel you are pretty solid on how to do these problems, just do the example problems with me and test your skills. We’ll be doing problems from the from the 10 Actual LSAT PrepTests, the first compilation of LSAT preptests. You pretty much need that book to study for the LSAT, so if you don’t have it yet now would be a good time to grab it. Luckily, it’s dirt cheap. Okay, now what exactly is an LSAT sufficient assumption question? The conclusion of the argument is properly inferred if which one of the following is assumed? Alright. You may have noticed that these are very similar to necessary assumption questions, except the language about “required” or “necessary” is gone. That tells us that we are dealing with something different, so let’s look at how these work. Sufficient assumption questions contain an argument that is, by itself, not fully complete. Unless we add more to the argument, it’s not going to be fully valid. You’ll see this in the examples we use. Your task in answering these is to find a piece of information (an additional premise) that does make it valid. Let’s say that again: in sufficient assumption questions, you are looking for an answer choice that, if true, would definitely, 100%, beyond all shred of a doubt, make the conclusion valid. Now, I’m talking about logically valid, so if you don’t know what that means, we’ve got problems. Hopefully we can cure the issue here. Also, go back and read our conditional reasoning lesson for a big primer in logic 101. When we say an argument has a valid conclusion, that means that it’s conclusion follows logically from it’s premises. If all the premises are true, the conclusion must be true as well. That’s what we’ll be trying to make with sufficient assumption questions. If the United Center roof isn’t fixed by January 6th or an alternative venue is not found, the Blackhawks won’t be able to play Saturday’s hockey game. No alternate venue is big enough to host the team, so Saturday’s game will have to be canceled. This would be a pretty typical example of sufficient assumption question prompt. The conclusion is that “Saturday’s game will have to be canceled.” The problem is that the conclusion doesn’t necessarily follow from the premises as they are now (it’s not a valid argument yet), because we don’t have enough information. In the abstract, this argument would look like this. If Not A and Not B then C. Not B, Therefore C.
If Not A and Not B then C. Not A and Not B, Therefore C.
The size of the hole in the roof makes it impossible to fix by January 6th. No workers are available to fix the roof because of a union strike, and union roofers are the only people who could fix it. Weather conditions are too gnarly for anyone to go up and fix the roof before the 6th. Any one of these could be correct answers choices, because if they are true, then this game has to be canceled (the conclusion is valid). They are all sufficient, meaning that if they are true, the conclusion is valid. So again, for a sufficient assumption questions, we need to look in the answer choices and find some info (a sufficient condition) that makes the conclusion bomb proof. To the non-pro, these might seem a lot like necessary assumption questions. Let’s talk about the differences, because you need to keep the concepts of necessary and sufficient totally separate in your mind. A necessary condition, on the other hand, is something whereby if it’s NOT true, then the conclusion can’t possibly be true either. Necessary assumption not true —–> Conclusion not valid. If the United Center roof isn’t fixed by January 6th or an alternative venue is not found, the Blackhawks won’t be able to play Saturday’s hockey game. The roof cannot be fixed by Jan. 6th and no alternate venue is big enough to host the team, so Saturday’s game will have to be canceled. Negated necessary condition: The roof can be fixed by Jan 6. See how negating it would destroy the above argument? So just remember that a necessary condition is totally different than sufficient condition. A sufficient condition is just “enough,” whereas a necessary assumption is, well, necessary. Possible answer choice: The size of the hole in the roof makes it impossible to fix by January 6th. Negated: The size of the hole in the roof makes it possible to fix by January 6th. Does this negated answer choice destroy our argument? No. There still might be some other reason why we can’t fix the roof by Jan. 6th. I include this here so you don’t mistakenly try to use the negation technique to answer a sufficient assumption question. It won’t help you much of the time. Now an assumption that is necessary can be sufficient as well, so it might that a correct answer on a sufficient assumption question is also necessary (our example necessary condition — the roof can be fixed by Jan 6th- also is a sufficient condition because if it’s true the conclusion is valid), however, necessary and sufficient are separate concepts. To solve this problem types, you are just testing for sufficiency. Make sure you are able to distinguish when something is necessary or when it’s just merely sufficient. Also be able to spot when a condition is both necessary and sufficient. If you need more practice with necessary assumptions, check out the necessary assumptions lesson. Also, the above was kind of a whirlwind tour of the difference between sufficient and necessary, so again, if you need more help with that, review the lesson on conditional reasoning. It’s the kind of thing that might hurt you head at first, but you’ll grasp it soon enough if you keep relearning it. Don’t give up, because understanding necessary vs. sufficient is completely critical to success on the LSAT. You cannot hope to make good progress on the logical reasoning section until you have those concepts down pat. When doing LR questions, we always advocate for the stimulus first order (the passage first, rather than the prompt), because so often with LR questions you’ll be able to form a good idea what the answer is going to look like ahead of time. Doing that helps you spot right answers better and ignore incorrect ones. Sufficient assumption questions are some of the easiest the form a good strong pre-answer (you might also hear this referred to as a pre-phrase or advanced answer as well). So how do you do it. To form a good pre-answer on a sufficient assumption question, think about what is both a necessary and sufficient assumption for the conclusion to be valid. You may have seen that I did this in my example already. We had this argument: If the United Center roof isn’t fixed by January 6th or an alternative venue is not found, the Blackhawks won’t be able to play Saturday’s hockey game. No alternate venue is big enough to host the team, so Saturday’s game will have to be canceled. What’s necessary to get a valid conclusion here? Answer: we need to know that the roof is not fixable by Jan. 6th. If the roof is fixable, the argument can’t be valid. Once I know that, I simply need to look for one answer choice that gives me a reason why the roof definitely can’t be fixed. There are hundreds of possible correct answer, but they are all going to do what they have too, which is communicate that the roof can’t be fixed by the 6th. I like to think of this as forming a bridge to the conclusion. Once we know basically what that bridge is going to look like, it’s easy to spot it in the answer choices. Armed with that, let’s do some problems. Okay, doing these problems is conceptually really easy. The problem with these questions is in the execution, where arguments are often complex, and it may be tough to see how some assumption necessitates the conclusion. Mastering these is all about understanding the form of arguments. Once you know that, you can see the missing piece that you need to add to answer these. I’m going to find some hard examples and do them. Due to copyright issues we cannot print the questions here… All you have to do is find the problems in your 10 Actual LSAT PrepTests and do them first yourself, then come back and we’ll go over them together. This is a great opportunity to watch the “thinking about what is necessary” strategy in action. All we need to complete the argument is something that tells us that yes, this strike will be avoided. That will necessitate selling off the subsidiaries (the conclusion). Without even looking at the answers yet, I know that it’s something that tells us, yeah, that strike isn’t happening (or it can’t possibly happen). (A) The argument and it’s conclusion aren’t even talking about losses, so there is no way this could be the right answer. It doesn’t form any bridge from the facts we have to the conclusion. (B) This a classic incorrect answer, and one you have to watch out for big time. If this is true, it’s actually partly destroys the conclusion. That is the exact opposite of what we want to be doing. Here the LSAT tries to take advantage of how easy it is to get things flip-flopped 180 degrees in your head. (C) This is exactly what we are looking for. It’s almost too perfect. (D) Another classic incorrect answer type. This seems to help the argument out, and maybe it does, but it’s not enough. So what if he has the authority? We don’t know if he is going to use it. If on the other hand we were told that the president will take the necessary actions to avoid the strike and has the power to do so, that would be sufficient. As it is, it’s not. (E) This doesn’t tell us anything new. We already know that a wage increase is the only way to prevent the strike. This doesn’t form a bridge to the conclusion. So (C) is the correct answer. Not the hardest example, but it’s good to see how we predicted the answer right away. Alright, I’m including this one because I was not able to form a particularly strong pre-answer. It seems like a very weak argument, so it’s going to take a big, fat, helpful premise or premise(s) to draw the conclusion. This is a case where I would just go to the answer choices to help me think it through. (A) Who cares? On the LSAT, the phrase “who cares” is your best friend. If you can’t tell right away that something doesn’t help you, say “who cares?” and move on. (B) Complicated but seems to do the job. It takes a bit to think it through. In practice, I might just try to eliminate the other answers first before trying to spend effort confirming this. (C) This is typical answer that maybe supports it but does not get us to the conclusion. We have to know something about color distinctions specifically, and moreover, we need some connection between color distinctions and color perception. I’m starting to like answer (B) even more at this point. (C) is out. (D) That’s a hard answer choice to understand, so it’s tough to eliminate. However, it doesn’t talk about the connection between fewer words and less perception. Further, I’m not even positive that we can consider color words short, frequently used words. I might not cross this out yet, but I don’t love it. (E) The might be true, but it actually could harm the argument rather than make it valid. Think about it: just because they don’t have words for these colors and may have never even seen them, that doesn’t say anything about perceiving. Again, this is just not a sufficient bridge to our conclusion. At this point I looking at (B) again and it checks out. It’s saying that is these other language speaker could perceive it, they’d have a word. They don’t have as many word, so they must not be doing as much perceiving. Okay, I’ve included this one because it illustrates a common sufficient assumption question type which deals with numbers and stats. Here, you aren’t thinking about conditional reasoning. You rather need to figure out how to make the passage author’s argument make sense in terms of the figures they are throwing out. So how do we reconcile the fact that there are more smoke detectors now with the fact that we aren’t detecting any more fires? Again, I need you to focus on what is necessary. Detection isn’t getting better despite more detectors. What’s more, the problem must be inoperability. Remember you can’t ignore this because on the LSAT, when somebody argues for a cause, they are saying that that is the one cause and there is no other cause or alternative explanation. So here we can’t say, for example, that there has no improvement in early detection because people are home less often nowadays. That wouldn’t make his or her specific argument valid. Knowing this, I developed a powerful pre-answer, because there is really only one way to reconcile the facts here. If the same proportion of smoke detectors were inoperable then as now, then we would have to be detecting more fires. However, that’s not what happening, so that means that a greater percentage of these detectors must be breaking or something else now than 10 years back. (A) might be true, but doesn’t in anyway help us support our conclusion, which is that we aren’t doing any better at detecting fires. Be wary of answer that just repeat or echo information already contained in the passage. That won’t be enough to make the conclusion valid. (B) Again, this is just repeating information we already know. It’s a common wrong answer choice, but one you should be to just kick out quickly and move on. (C) This is trying to act like a right answer but it’s not at all. It doesn’t by itself explain why we aren’t seeing more early detection. (D) Boom. That’s basically exactly like my pre-answer. This wasn’t the hardest question, but I included it because it gives us a look at one where it’s possible to form a really strong pre-answer. To get this, we just thought about what was necessary for the argument to be valid. (E) is not right at all because we are talking about detection, not general fire safety. Like with necessary assumption questions, details are always important. Okay, so that three of these explained. Let me know if you have trouble with any questions like these and I’ll be happy to throw an explanation up for it. Also don’t forget to check out these posts on other LR question types (links below). If there is a question type you are having trouble with feel free to request a post on that and we’ll give you our advice. Was the part of the stimulus that covered the lack of differentiation of mother’s versus father’s brother (Uncle’s regardless of familial connection) completely distracting text that meant nothing? I am having a hard time squaring “sensory quality” with color in answer choice B compared to “category distinctions” in answer choice C. Does the latter not cover the premises and conclusion a little more broadly? Color is not something I would have associated with the senses although it does tie to eyesight. B is very complicated and initially I thought “Shell Game.” Additionally, my take-away from the stimulus was about moreso “fewer” rather than “different” distinctions and C sort of touched on the difference. For the third question: PT7, Section 4, Question 14, don’t we necessarily need to assume that the population remains unchanged for the past ten years? If the United Center roof isn’t fixed by January 6th or an alternative venue is not found, the Blackhawks won’t be able to play Saturday’s hockey game. If we can’t fix the United Center’s roof and we can’t find an alternate venue, the Blackhawks won’t be able to play Saturday’s hockey game. United Center roof not fixed AND Alternate venue Not Found, then no game. Funny things happen sometimes with conjunctions in English, so you have to think about what the passage is actually trying to communicate. Here the author is saying, “if both these conditions occur, then we can’t play.” That call for an “and”. If we diagram it incorrectly as “If Not A OR Not B then C. Not B, Therefore C” then it is already in a valid form, which you should be able to tell isn’t the case. I don’t anticipate the LSAT will play this trick on you too often, but I’ve seen at least one problem where they did. It probably wouldn’t have led to a wrong answer to misdiagram that particular problem, but you should still be aware of this. Also, thanks for double checking things. I’m as likely to commit an error as not, so this keeps me on my toes. 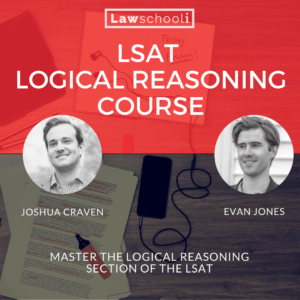 Not sure if you have PT and question number that LSAT has this kind of trick regaring “or”? Sure. The one I found when writing this was June 2010, Section 4, Question 3. “In the abstract, this argument would look like this. You used “or” in “If the United Center roof isn’t fixed by January 6th or an alternative venue is not found,” Therefore, isn’t it that in the abstract, it should be “If Not A OR Not B then C. Not B, Therefore C.”?